BORA Professional 2.0 2 x induction cooktop full and cooktop extractor 380V - cooking station stainless steel of the CUN series with BORA professional 2.0 system. With 2x induction cooktop full PKFI11 and cooktop extractor PKA with recirculation unit and activ carbon filter. 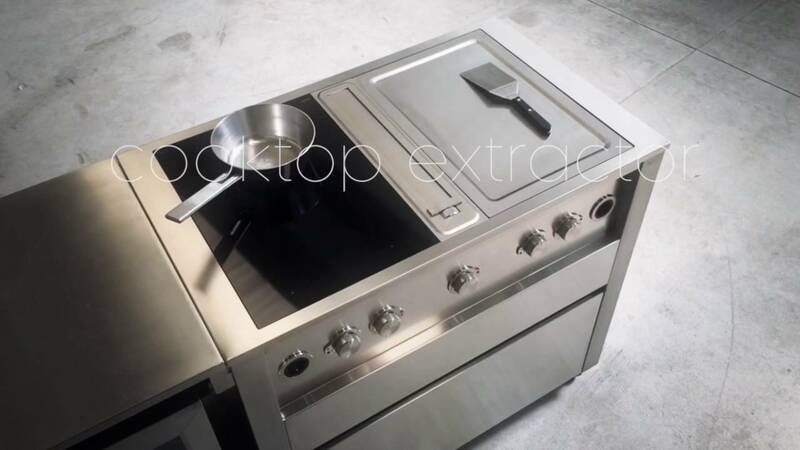 This compact cooking station from JOKODOMUS was developed especially for interior use and professional front cooking. You can boil, steam, cook, sizzle ... all in clean air. The cart fits also 2 additional power plugs (type Schuko) for other small cooking appliances. The cart has a easy fit system for quick fitting of accessories or a connection board on the left and on the right.